The Acting Governor of Edo, Mr Philip Shaibu, on Monday performed the ground breaking ceremony of a 300-capacity Computer Based Test (CBT) Centre being built by the Ovia South East Local Government Council at Iguobazuwa, the council’s headquarters. Speaking at the ceremony, Shaibu said the centre would bring succour to students in the area who now have to travel long distances to write computer based examinations such as UTME. He commended the council chairman for the initiative, noting that the aim of the state government was to reposition councils to be self- sustaining. The acting governor, who is on a working visit to the council, visited the Odionwere of Igbuobazuwa, Pa Solomon Omokaro, and pledged the state government’s support to draw more projects to the area. 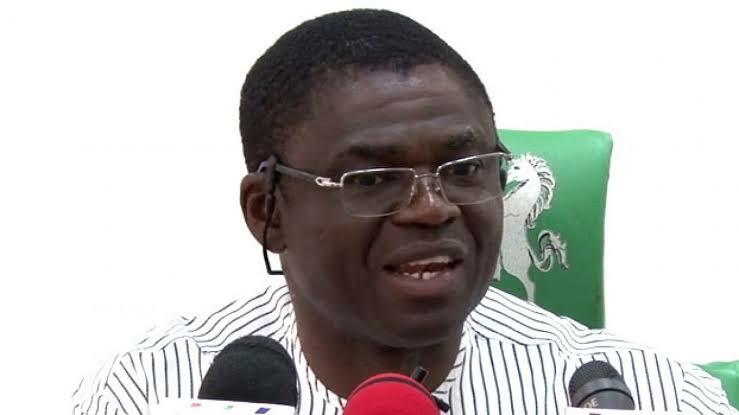 Shaibu noted that the construction of roads in the agrarian council area would allow for easy evacuation of farm produce to the city centres and open up the council to more economic activities. The Acting Governor also inspected the progress of work at Arosa and Imasabenwen road, assuring that the roads would be completed before the commencement of heavy rains. “The people are happy with the present state of the road. The rehabilitation of the road has brought progress to this area,’’ he said. Shaibu also inspected the revenue house, marriage registry, Army accommodation, council hall and legislative building in the council. Earlier, the Chairman of the council, Mr Destiny Enabulele, said he had been doing his best to work in line with the standards of the state government. “I have executed over 30 different projects in this council; some have been completed, while others are ongoing. “Some of the projects include the construction of modem markets, renovation of schools and the rehabilitation of borehole projects, he said. Enabulele added that the CBT centre which would be completed in two months, was embarked upon to reduce the risks associated with frequent and long distance trips to the council area annually.